To receive your bonus items after you pre-order the book, simply fill out the form below and click "Get My Bonuses." Links to the bonus items will be sent to the email address you provide. Promotion begins July 9, 2018, and ends August 19, 2018. Offer only available to retail consumers in the United States age 18 and older. No refunds, exchanges, or substitutions. Offer limited to one per household. 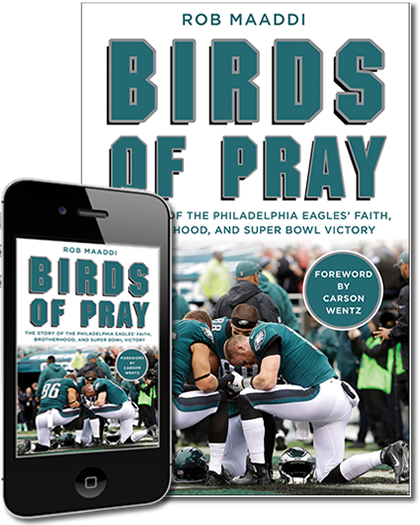 You must pre-order a copy of the Birds of Pray book (any format, published by Zondervan) to take advantage of this offer. Offer void if obtained through non-authorized channels, including, without limitation, free offer or freebie directories. Zondervan reserves the right to request a copy of original store pre-order receipt or copy of email pre-order confirmation to validate pre-order. If pre-order cannot be verified, offer will be void or subject to revocation. Theft, diversion, reproduction, transfer, sale or purchase of proofs-of-purchase or receipts is prohibited and may constitute fraud and could result in prosecution. Not responsible for lost or damaged pre-order receipts. Zondervan is not responsible for and will not provide any software, hardware or other technical set-up or capability (or personnel support in connection therewith) that may be required to access the downloads. Bonus digital content is available as a one-time download only. No cloud storage. Void where prohibited, taxed or restricted by law.